Priced below KBB Fair Purchase Price! CARFAX One-Owner. 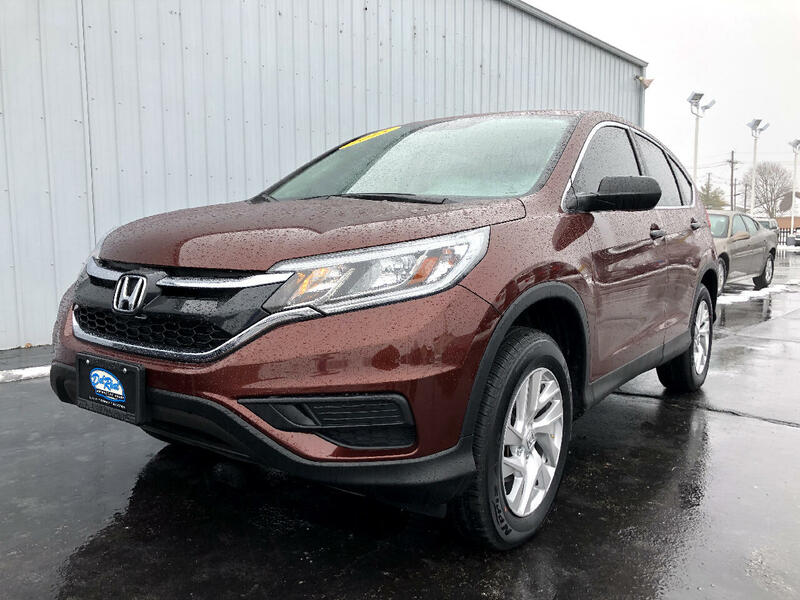 2015 Honda AWD CR-V LX CVT Maroon Odometer is 32801 miles below market average! Bluetooth, Hands-Free, Automatic, Premium Wheels, EX WHEELS, AWD. 26/33 City/Highway MPG Awards: * Motor Trend Automobiles of the year * 2015 IIHS Top Safety Pick+ (With Touring Model) * 2015 KBB.com Brand Image Awards 2016 Kelley Blue Book Brand Image Awards are based on the Brand Watch(tm) study from Kelley Blue Book Market Intelligence. Award calculated among non-luxury shoppers. For more information, visit www.kbb.com. Kelley Blue Book is a registered trademark of Kelley Blue Book Co., Inc. PROUDLY SERVING CENTRAL INDIANA ( Frankfort, Lafayette, Crawfordsville, Noblesville, Lebanon, Indianapolis, Anderson, Fort Wayne, Elwood, Logansport and many others.) FOR OVER 30 YEARS! Selling used, Preowned and Certified vehicles some under 10k and under 5k. GM Ford Chrysler Dodge, Chevy Pontiac, Buick, Honda, Toyota, Nissan, Kia ,F150, Silverado and many more!! Some cars under 10k and even 5k.